Research Interests: Workplace Discrimination, Organizations, Research Methods. 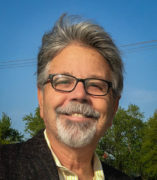 William T. Bielby holds a half-time position as Professor of Sociology at the University of Illinois, Chicago, and he is also Distinguished Research Scholar in the University of Arizona's Department of Sociology. He teaches courses on organizational behavior, research methods for the social sciences, quantitative methods, social inequality, and discrimination. His current research is on racial diversity at the top of corporate hierarchies, on how informal social networks facilitate career advancement, and on the factors that shape Americans' support for or opposition to workplace policies designed to promote diversity and nondiscrimination. Recent publications include: Accentuate the Positive: Are Good Intentions an Effective Way to Minimize Systemic Workplace Bias?, Virginia Law Review, In Brief, 2010; "Race at the Top: How Companies Shape the Inclusion of African Americans on Their Boards in Response to Institutional Pressures," Social Science Research, 2011 (with Clayton Rose); and "Minority Vulnerability in Privileged Occupations: Why Do African American Financial Advisors Earn Less Than Whites in a Large Financial Services Firm?, Annals of the American Academy of Political and Social Sciences, 2012. He has testified in numerous class action employment discrimination cases, and his testimony in Dukes v. Wal-Mart Stores continues to be the subject of commentary and debate in law reviews and in the business press. Professor Bielby's first public performance as a guitarist was when he was in eighth grade, and he continues to perform frequently in venues near his home in Union Pier, MI.